The Golden Nugget which is located in Atlantic City, NJ has received the second online gambling license for the State of New Jersey. 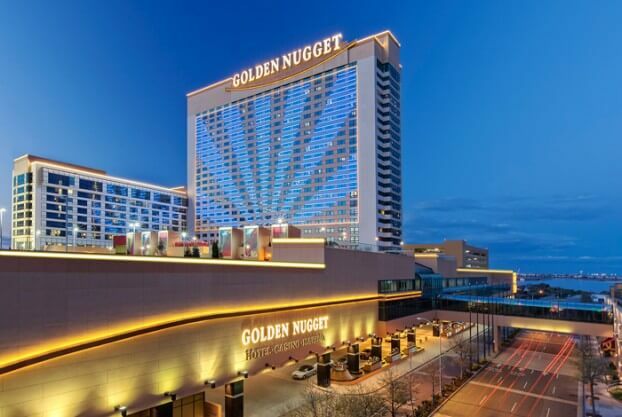 The Golden Nugget received permit number NJIGP 13-002 and the official owner of the permit is Golden Nugget Atlantic City, LLC and you can view the full list of permit holders here. The Golden Nugget will be operating GoldenNuggetCasino.com & GoldenNuggetPoker.com and they will be using Bally Interactive as the technology behind both sites. Tom Pohlman, VP & General Manager had the following to say about receiving the license. All players that desire to gamble online deserve a fair and trustworthy experience. Rest assured, that is our customer commitment, and unlike others, we have an Atlantic City land-based casino to stand behind our online brand.